When an instance starts, it registers itself with a listener using one or more service names. A service is identified by a service name, for example, sales.us.example.com. The service name is specified by the SERVICE_NAMES initialization parameter. The DBMS_SERVICE package can also be used to create services. A client uses a service name to identify the database it must access. 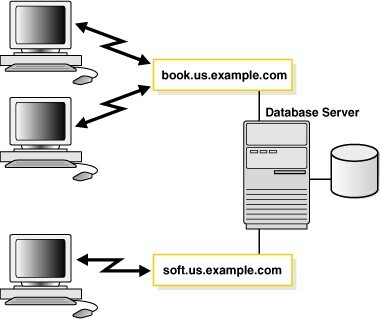 The information about the database service and its location in the network is transparent to the client because the information needed for a connection is stored in a repository. 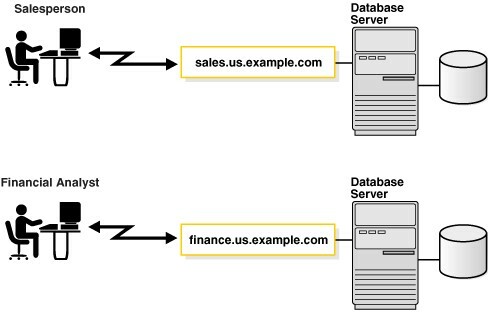 To connect to a database service, client applications use a connect string. You can use the listener command below. Service "orcl.HotITem.local" has 1 instance(s). Service "orclXDB.HotITem.local" has 1 instance(s). Service "pdborcl.hotitem.local" has 1 instance(s).